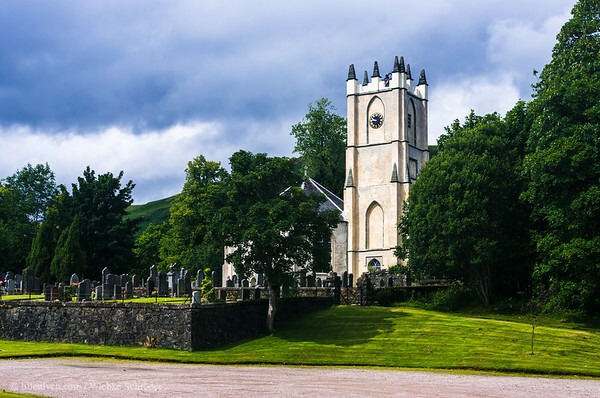 Scotland, United Kingdom Glenorchy Parish Church was designed by James Elliot in 1810. It is an example of the octagonal churches, which came in to favor in the late 18th centurey and is considered one of the most striking churches in the west Highlands of Scotland. uuid="A36B1F1F-5CC9-40C0-8B11-AC6B480E46B3" id="United Kingdom lilleulven.com UK_SCOT_20100718_144550.dng Scotland Lilleulven.com"